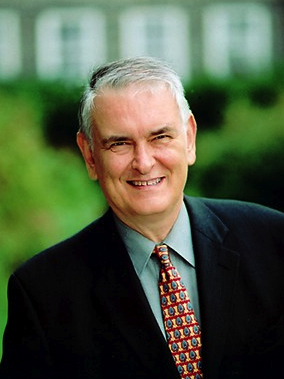 James D. McNiven, author of the Thoughtlines column on F&O, is Professor Emeritus at Dalhousie University in Halifax, Canada, and Senior Policy Research Advisor with Canmac Economics Ltd. He was the Fulbright Research Professor at Michigan State University’s Canadian Studies Center in 2010-11. Until his retirement from Dalhousie, he held the R. A. Jodrey Chair in Commerce in the School of Business Administration and was a Professor of Public Administration. From 1988 to 1994, he was the Dean of the Faculty of Management at Dalhousie. Prior to that, he was the Deputy Minister of Development for the Canadian Province of Nova Scotia (1981-88) and the President of the Atlantic Provinces Economic Council (1977-81). He has been the CEO of a small technology company and has been a member of a number of corporate and government boards, including the Blue Cross of Atlantic Canada and the federal government’s International Trade Advisory Committee. He was a member of the federal government’s Royal Commission on National Passenger Transportation. Dr. McNiven has a PhD from the University of Michigan. He has written widely on public policy and economic development issues and is the co-author of three books. His most recent research work has been about the relationship of demographic changes to Canadian regional economic development. He also has an interest in American business history and still continues to teach at Dalhousie on a part-time basis.